Leeds is one of the most large and historic cities in the United Kingdom. It’s rich history is preserved with it’s many museums, but also in it’s legendary historical sites and buildings. You see, Leeds has come a long way over the years. In the medieval period, it was just a small market town. The city later became well known for it’s high production of goods in it’s many mills and factories, paving the way for it to become one of the great industrial cities. Industrialization led huge numbers of people to move to the city in search of jobs – and that’s how we got the Leeds we know today. A city with a history as long as that can only be haunted. And some even go so far as to say that Leeds is one of the most haunted settlements in Europe. This is a list of 10 haunted places in Leeds – or haunted Leeds for short. 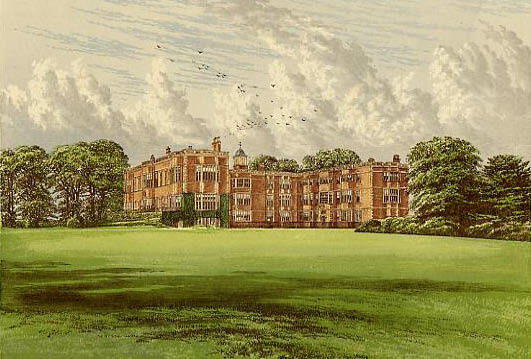 The early history of Temple Newsam is hard to trace, but it was recorded in the doomsday book. It is a Tudor Manor house best known for being built on land that was once owned by the knights Templar. This gave rise to many legends of what happened on grounds, legends tell that it saw many of the occultist rituals that the knights Templar eventually were suppressed for. The current manor house is onloy 500 years old, but has seen more than it’s fair share of events. There are said to be two ghosts who call Temple Newsam home – the grey lady and the blue lady. The grey lady is thought to be the ghost of Phoebe Gray; she was a servant girl who was murdered by another servant. The blue lady is thought to have once lived in the house with her wealthy parents. Apparently she died from the emotional distress of when the house was broken into just weeks before. One of the most haunted places in Leeds is Kirkstall Abbey. Kirkstall Abbey was built in the mid 12th century by a man who promised god that he would found a religious building if he is able to recover from an illness. Clearly he survived. It served Catholicism for several hundred years until Henry VIII expelled the bishops from their monasteries and took ownership of the properties. 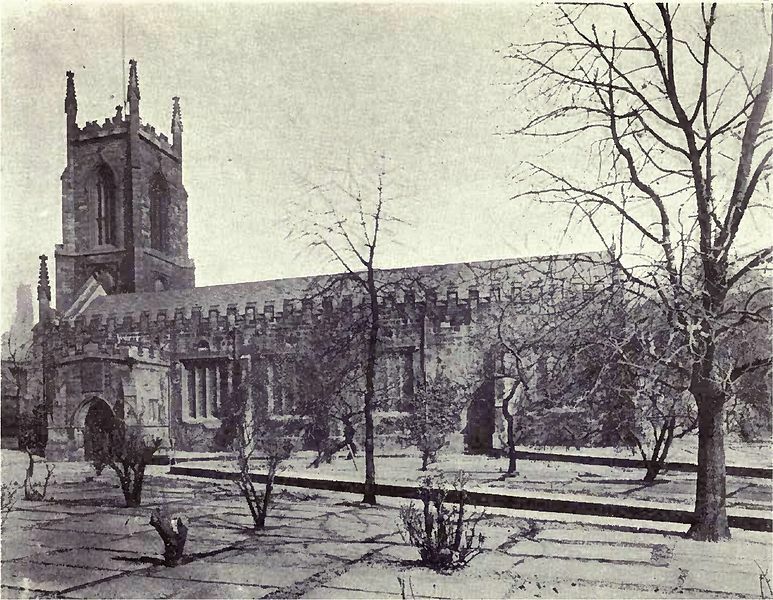 Ownership of Kirkstall Abbey was then passed down through several families with tendencies to neglect their properties; the Abbey stood in ruins by the 17 hundreds – and it hasn’t changed much since. Local legend tells that the building is haunted by the angry ghosts of the monks who were driven out of the Abbey all those years ago. They can be seen on misty mornings wandering around in circles – but disappear as soon as they notice you can see them. In 1944, a group of 4 young children claimed to have seen a ghostly figure wearing a monks robes. She went on to describe the fearful reaction of the monk when he noticed their presence. Harewood Castle was built in the 11 hundreds, making it one of the most old and interesting buildings in Leeds. As it was built on the side of an important hillside, the castle has always been very valuable. It can be seen from miles around as an impressive monument to 12th century architecture. No one has called Harewood Castle home since the year 1657 when it was put on the market. The castle was then passed along by several different owners before being completely abandoned in the 18th century. It is now quite a romantic sight, especially on misty mornings. It is said that a group of about 12 ghosts can sometimes be seen walking out of the Castle before disappearing just seconds after emerging outside. Each of the ghosts are also said to be from a different period in history. Spooky! 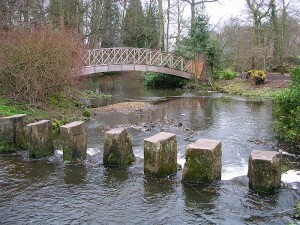 Armley Park is a public park in Leeds. There isn’t much to say about it’s history – it was built in the 18 hundreds and a place for people to socialise. 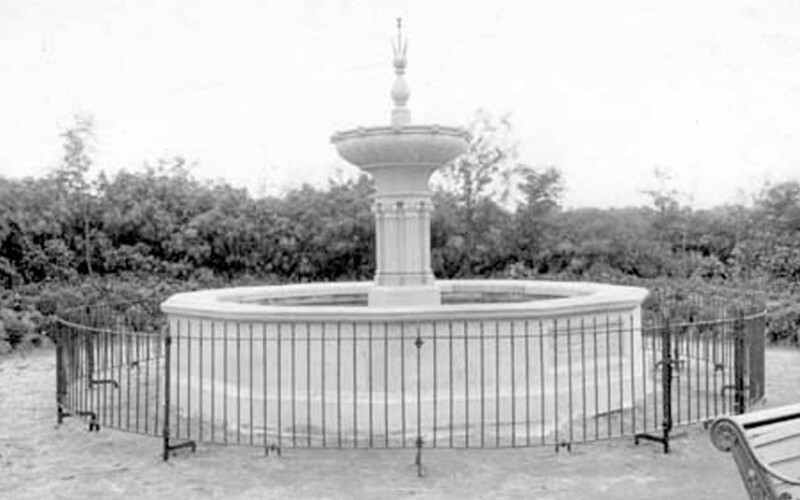 Several areas of the park stand out – like the large mansion, the war memorial, and the old fountain. 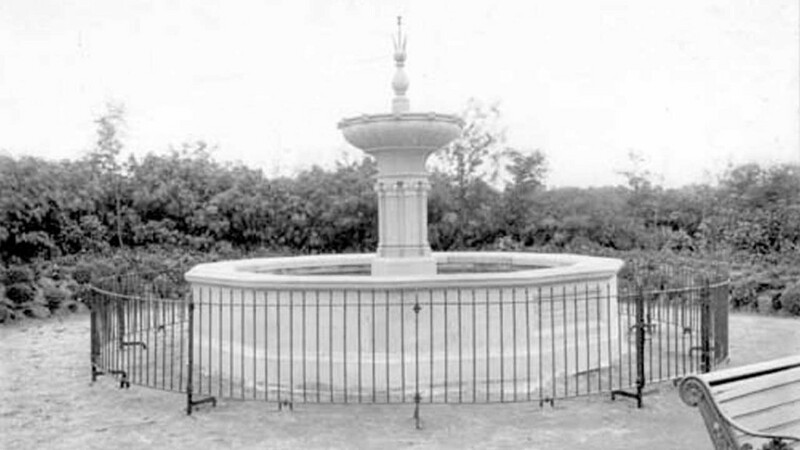 Local legend tells that the old fountain is haunted by the ghost of Benjamin Gott. The ghost of Gott is said to be very friendly, giving directions to people lost on dark nights. Benjamin Gott was one of the industrialists who transformed Leeds into a powerhouse city. He was born and buried in Armley – the park is also known as Gott’s park for this reason… and I’m sure his ghost has something to do with it. 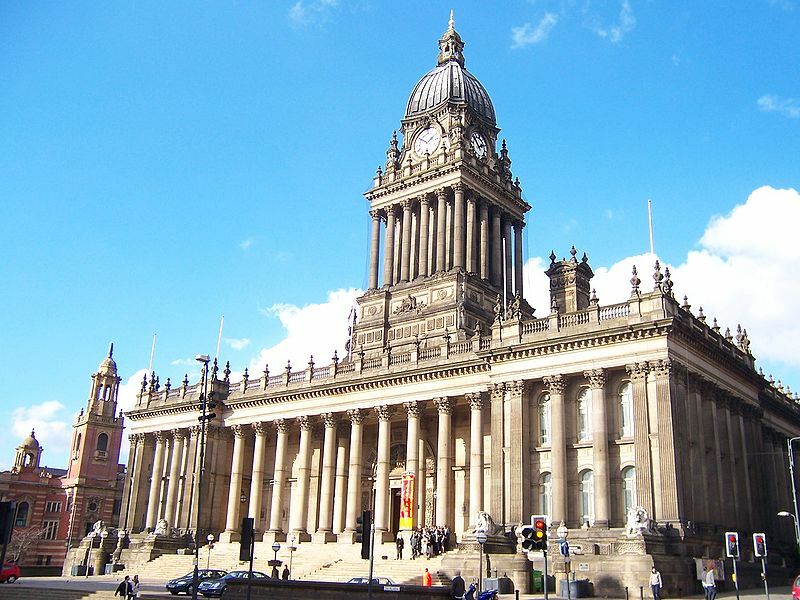 Built in the mid 19th century, Leeds Town Hall reflects the grandiosity of Victorian Britain. It was constructed with the need of replacing the previous town hall, which was by no means fit for a city the size of what industrial Leeds had become. So the new one was meant to represent the great city that had only recently emerged. The town hall is said to be occupied by the deranged ghosts of several local Victorian politicians. Apparently one of them can be seen pacing the hallways, and can be heard complaining about the abolition of slavery, which deeply angered him. St John’s church was built in the 17th century for obvious reasons. It’s construction was financially supported by a successful wool trader, as this was a time when the Church was what you spent your money on. It’s long history slumped in 1975, when the church of England declared it redundant. It was just too expensive for the church to remain open. However, local legend tells that the real reason it was closed is rather more dark. They say the building is haunted by the ghost of the wool trader who funded the church. He was cursed by a witch for his arrogance – forcing his ghost to say in the building he so often boasted of funding. He apparently laughed off the curse… big mistake. The first records of Armley Mills are from the 16th century. By the 18th century it was the biggest and most grand wool mill in the world. It was, however, soon ravaged by a fire in the early 1800s. At that point the mill was owned by Benjamin Gott (remember him?). Gott rebuilt the mill as he loved making money, and Armley Mills survived. It now serves as a museum – but not one I would ever want to visit. Far too many ghosts. The mill is said to be haunted by the ghost of a young Victorian child who died while working there. He can usually be heard crying and slamming doors to scare visitors away. The only thing he wants is to be alone. City Varieties Music Hall was built in 1865 to accommodate for the entertainment of the new class of wealthy Victorian industrialists. It remains one of the few Victorian music halls still standing, and was graced by the performances of Charlie Chaplin and Harry Houdini. The theatre is engulfed by legends telling of it’s hauntings. One claim is the building is haunted by the ghost of those who died while performing there. One of which is a ginger haired woman who stares at visitors and tries to lure them into following her. Different legends vary on where she leads people – but it’s generally though that she leads them in circles until they give up. 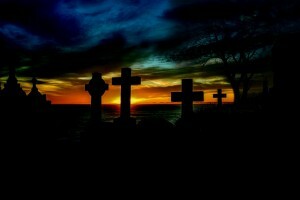 No one would ever imagine a Victorian graveyard would be haunted, right? Woodhouse Cemetery was used as an active graveyard from 1835 to 1969, when it was closed down. It is now essentially a monument to the past, and part of the university of Leeds campus. Within the cemetery is a rather Gothic looking chapel – it really wouldn’t be out of place in a 1980s horror film. The chapel is said to have a demon trapped inside it’s underground chamber. It’s such a strange urban legend, especially because some dispute the claim that it even has an underground chamber. Maybe it’s a secret chamber – or maybe it’s just a complete myth. Either way, I don’t want to visit the cemetery for fear that the demon will drag me into the underworld; demons love to drag humans away. Hassett’s house gained national exposure when it featured on the tv show “haunted homes”. Ever since then, people have feared even walking past Hassett’s house on the street! The Hassetts family reported paranormal goings on within the house for 20 long years. That’s why it deserves the number one spot on our list of haunted places in Leeds – because it’s so creepy. Apparently the cellar was especially haunted. Several ghosts lived down there and they would scratch at people who went near to them. Dogs would actually refuse to enter the cellar and mysterious moaning noises could be heard emitting from it. Moaning noises are also heard echoing from the fireplace; I’m sure that depreciates the value of the house. Hassett’s house would be a nightmare to sell on… or to live in.